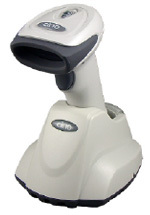 The FuzzyScan F680BT series Cordless Image Scanner is a member of FuzzyScan wireless family. Powered by the combination of cutting-edge FuzzyScan 2.0 Imaging Technology and Bluetooth® wireless technology, it not only provides outstanding reading performance, but also delivers the convenience and freedom of mobility. The F680BT series Cordless Image Scanner is the most cost-effective “cable replacement” solution for retail and commercial applications to improve your productivity. 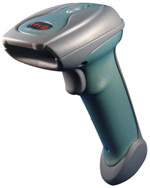 Thanks to the revolutionary FuzzyScan 2.0 Imaging Technology and ruggedized construction, the new FuzzyScan I-1608 bar code linear imager from HTZ impresses the user with high scanning performance and exceptional reliability. The I-1608 series is the best-of-breed blend of form and functionality to meet the need of industry and general purpose applications.